It wasn't about the running at first. It was about preparation for a mountain climb that got me started on running in 2006. 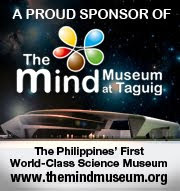 But after that first run in the 2nd Pasig River Marathon, I was hooked. And so began my quest, to achieve what is probably a runner's ultimate goal - to run a marathon. Three times a week, I would train every morning. Weekend after weekend, I would join races. 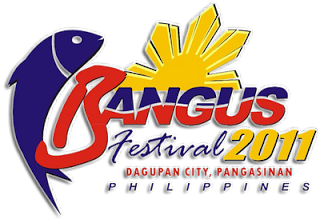 As far as Montalban, Rizal and in Nasugbu, Batangas, I would go just to run a race. But probably due to overtraining or running too much - or too fast - too soon, I got sidelined with a knee injury. I was so passionate about running that I was determined to think none of it. But it got too unbearable to ignore - the pain was too strong, I couldn't walk. That was when I threw in the towel, gave up on my hopes of ever running a marathon. And then I stopped running altogether. After that, it was just accompanying friends to run their races. It felt weird to just be a spectator, to be left behind in the starting lines and not be part of the pack that charges like bulls at the sound of gunfire, to not be part of the throng that thrills with the rush of adrenaline. While I was busy staying away from runs, I saw the years pass. I saw many friends also taking up to running; I saw from the sidelines the growth of running, from there being an occasional weekend run, to now being nearly a weekly event somewhere, sometimes more than 2 runs at the same time in 2 different locations. It has become big business, it has attracted celebrities, and has made celebrities of runners. 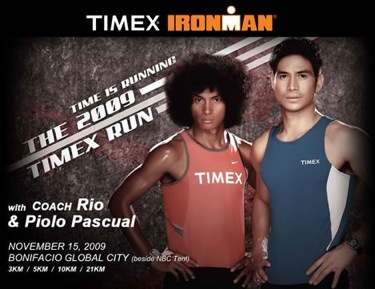 Coach Rio: Runner turned celebrity; Piolo: Celebrity turned runner. to give running a second chance. It was in last April 9's NATGEO run that I again sported a running bib. This time, I took it slow and signed up for a 3K race instead of my usual 10K. I ran the race, finished it in a dismal 36 minutes where previously I could run 10K in under 60. But I was just happy - to be able to run again, to finish the race, to enjoy the race again and remember what it was about running that made me love it so much before. Suddenly, a dream is rekindled. Something tells me it's about time. I will run a full marathon! I CAN run a full marathon! I don't know when, but I know I will be able to run a marathon. If before, I took my running technique and my running shoes for granted, this time I will do it right. I will train well, adopting the Chi Running method that I have been hearing from running friends. And this time around, I will need the help of a great pair of running shoes. A Somnio Mission Control Running Shoes seems just perfect for the job - to propel my new mission to run with a new pair of running shoes. 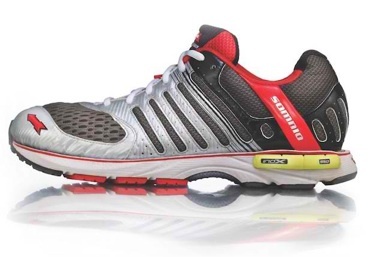 Somnio Mission Control Running Shoes: Rekindling, Powering a Dream. Here's a short video illustrating my quest - a mission that Somnio Mission Control Running Shoes will help make happen. N.B: This is an entry to the Somnio Mission Control running shoes blogging contest by Unbox.ph. ei! awesome video! emote! LOLz! Congrats for winning the contest Tristan!